Sleep Less. Read More. : Exciting Giveaway! Over one WOWIO, they are giving away a FREE ebook! It's the novel The Choir Boats by Daniel A. Rabuzzi. This novel is a critically aclaimed novel and they are giving away the special edition by way of an ebook. This is rather exciting to me. 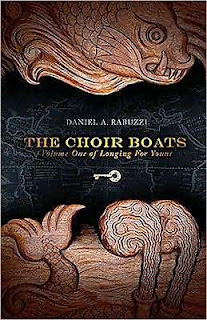 So head on over HERE to download the FREE ebook version of The Choir Boats. It's only available for the month of July!